Best racing moment: Brands Hatch 2016, fighting for position gaining 2nd in class. Worst racing moment: 9hour journey to Pembrey for 6min of qualifying before crashing. 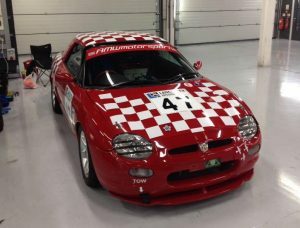 Brian started racing with the Lancaster Insurance MGOC Championship in 2011 in Class F in his MGF,a relatively standard 1.8 VVC running hydragas suspension. In his first year, he became the Novice Champion, and after following several years of improvement, became the championships “Most Improved Driver” in 2014, with a few “Star Drive” awards earned. In 2016, Brian really came to form, with several 2nd place finishes and a couple of instances where he just missed out on 1st in ending laps for reasons beyond his control. 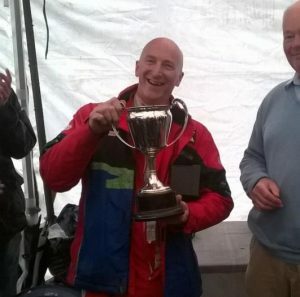 For the 2017 season, he moved to a more northern based championship, the “MGCC Cockshoot Cup”. Taking 1st in class in all 9 races, and eventually taking Class champion for the MGF/TF class, (class F), as well as 2017 Overall Champion.